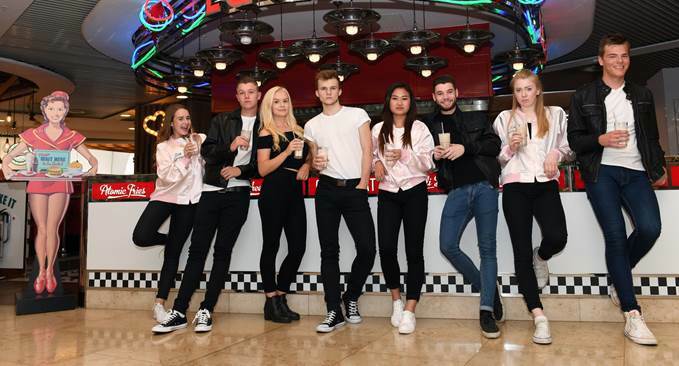 Grease is the word for dozens of young acting hopefuls as they star in this year's Stage Experience production at Birmingham's New Alexandra Theatre. Jordan Ricketts as Danny and Georgia Anderson as Sandy in Grease The Musical. 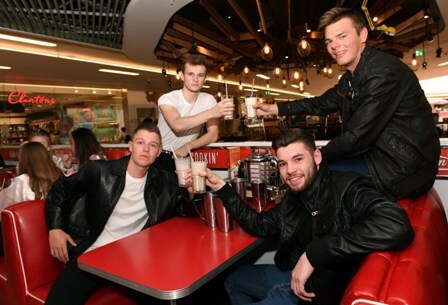 Grease The Musical takes place from August 17 to 20 and has a line-up of more than 100 talented nine to 24-year-olds. Featuring all the iconic songs made famous in the film starring John Travolta and Olivia Newton John, audiences will be thrilled by renditions of Grease Lightnin', We Go Together and other tunes like You're The One That I Want and Summer Nights. Stage Experience, which gives talented young amateurs the chance to take centre stage, is in its 13th year at New Alexandra Theatre. Young people auditioned in May this year with successful candidates having to focus on learning intense choreography and dance routines as well as their lines ever since. As well as front of house acting, there are also young volunteers operating the lighting and sound as well as co-ordinating scene changes under the directorship of Pollyann Tanner. Pink ladies (left to right) are Georgia Anderson, Sophie Tierney, Jasmine Shen and Georgina Steggles. Playing love birds Danny and Sandy are Jordan Ricketts,18 from Telford, and Georgia Anderson, 20. Jordan said: "Performing such an iconic musical on the New Alexandra stage in front of a massive audience will definitely be my highlight of this entire experience! I have never faced the challenge of creating and performing a show in less than two weeks… I think I'll learn a lot from the experience"
Georgia, who also took part in Stage Experience in 2014, added, "I had the best time in 2014 doing Footloose. It has helped me with building up my confidence. The creative team are incredible and always want to push you to the best of your ability. I have made friends for life." Stage Experience has helped kickstart the careers of a number of the industries finest including Birmingham comedian Joe Lycett, who now appears in shows like Channel 4's 8 out of 10 Cats does Countdown. Lycett appeared in the New Alexandra Theatre's Stage Experience productions on two occasions. Robert Knight, 27 who originally hails from Halesowen, took part in Stage Experience and has now made his West End debut in the smash-hit musical Mamma Mia. After Stage Experience, Robert went on to train at Arts Educational School in London before landing roles in the UK Tour of Ghost The Musical. Knight said: "Stage Experience gave me an insight into the real world of theatre, through a rigorous but fun rehearsal period. I would recommend it to anyone who is pursuing a career as in the arts." Since beginning in 2003, over 1,600 young performers have participated in Stage Experience at the New Alexandra Theatre in previous productions including Footloose in 2014, Annie in 2013, Copacabana in 2007, Fame in 2004 and Guys and Dolls in 2003. Totally devoted to Grease. Some of the cast of this year's Stage Experience. Tickets cost £15 - £22 by telephoning 0844 871 3011 or visiting the theatre website.